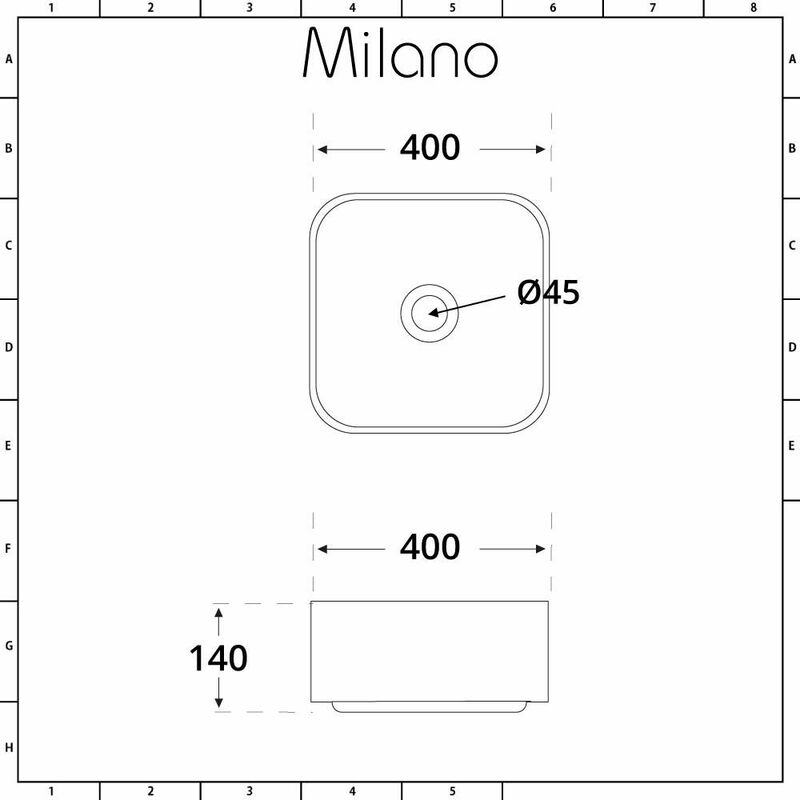 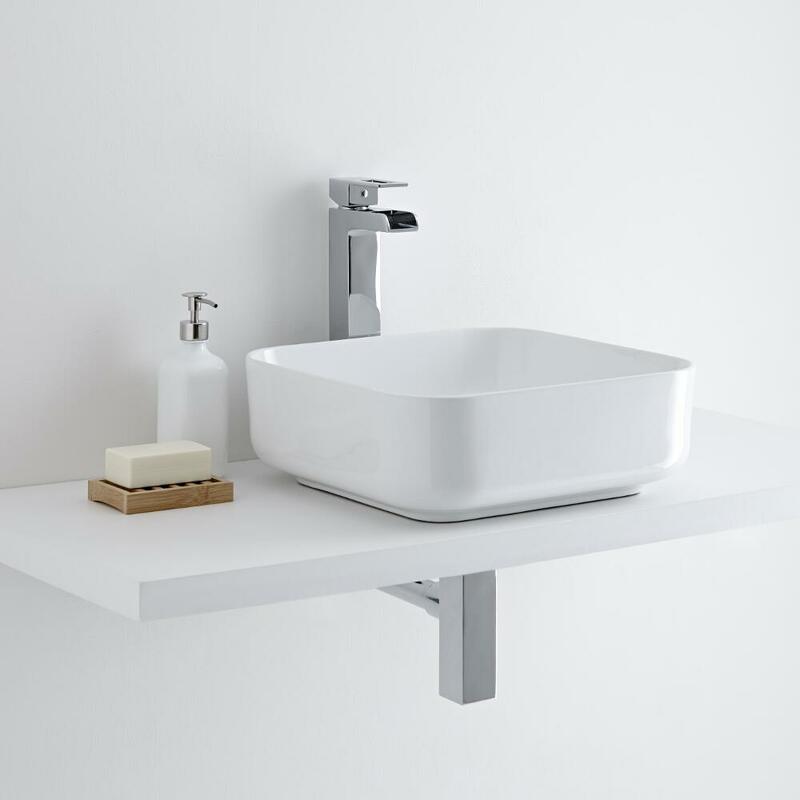 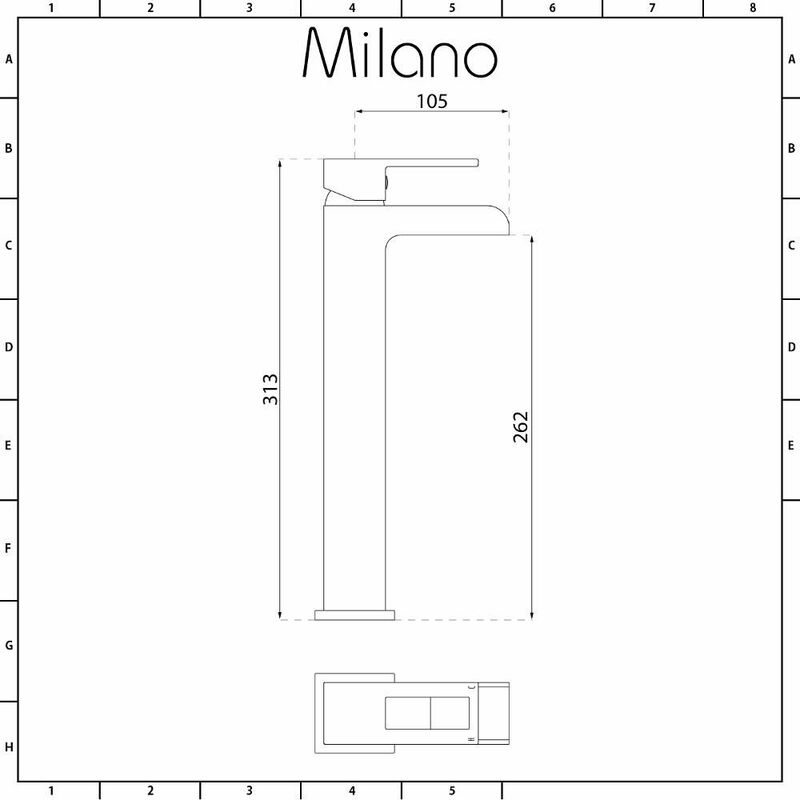 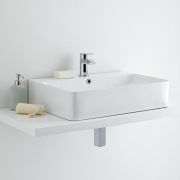 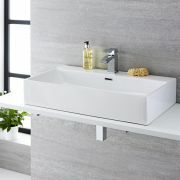 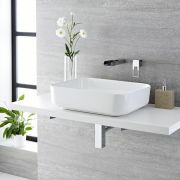 Bring your bathroom or en-suite right up to date by giving it a modern and elegant facelift with the Milano Longton 400mm square countertop basin and Parade high-rise mixer tap. 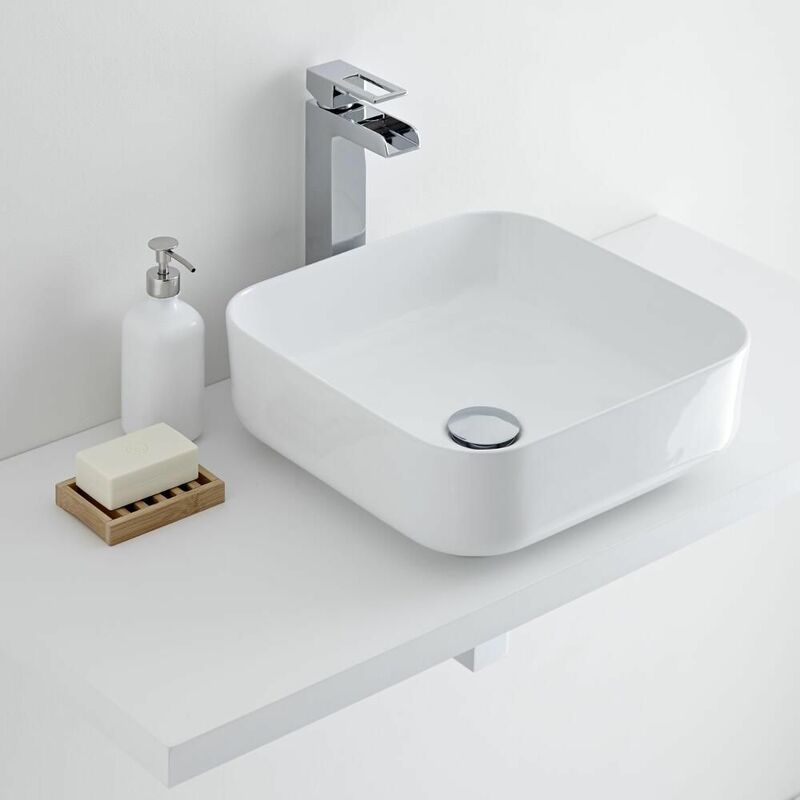 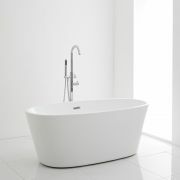 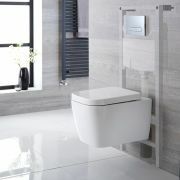 The simple yet stylish design makes a real statement with the sleek lines of the high quality ceramic basin coupled with the angular form of the solid brass tap which includes a waterfall spout, making the time you spend in the bathroom seem a lot more luxurious. 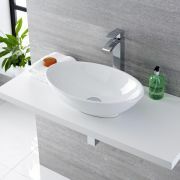 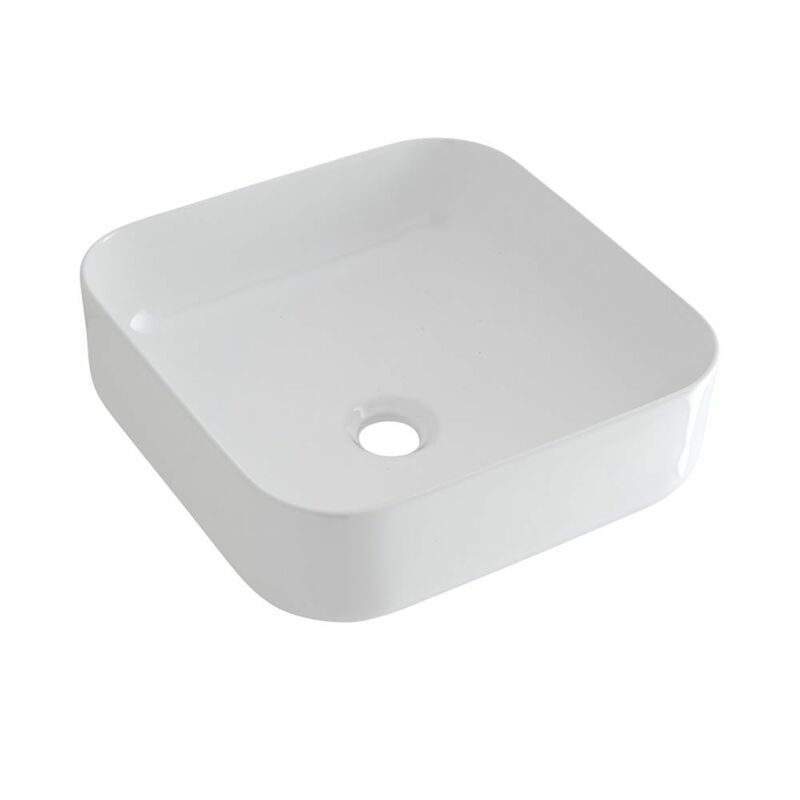 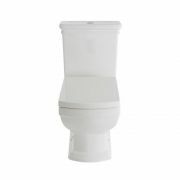 Featuring a hard-wearing easy to clean white glaze on the basin and an attractive chrome finish on the tap you can be sure that they are built to last and will keep their looks for years to come.